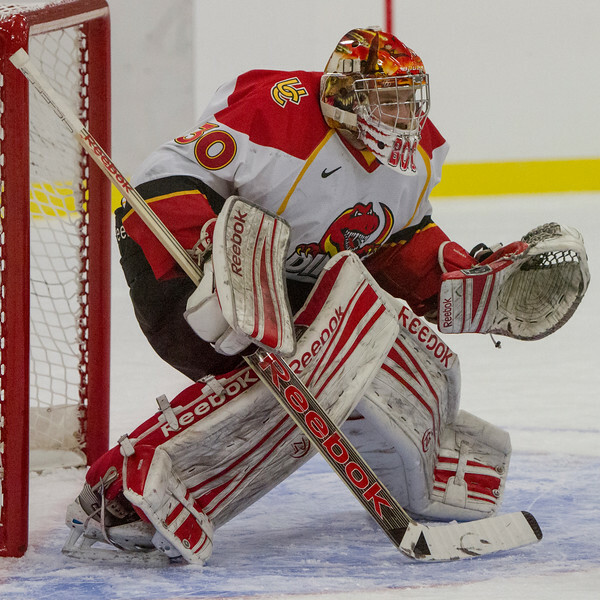 University of Calgary Dinos vs. University of Manitoba Bisons at the Father David Bauer Arena in Calgary, Alberta on October 30, 2015. Bisons won 3-1. 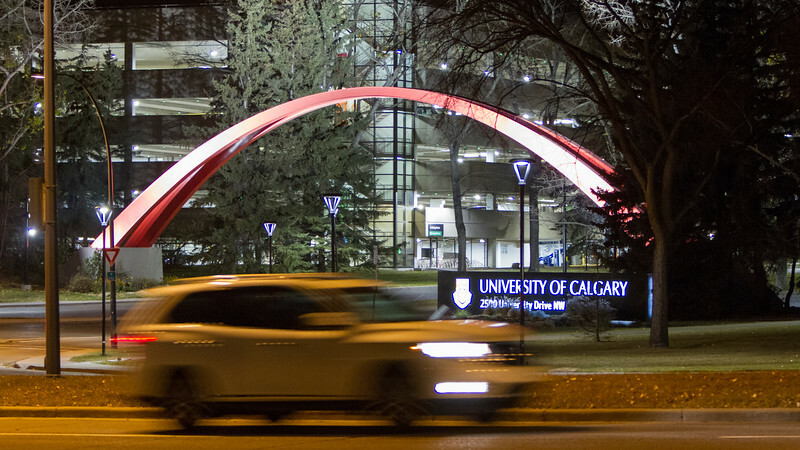 CALGARY(AB) October 30, 2015 - University of Calgary. Calgary, Alberta, Canada. 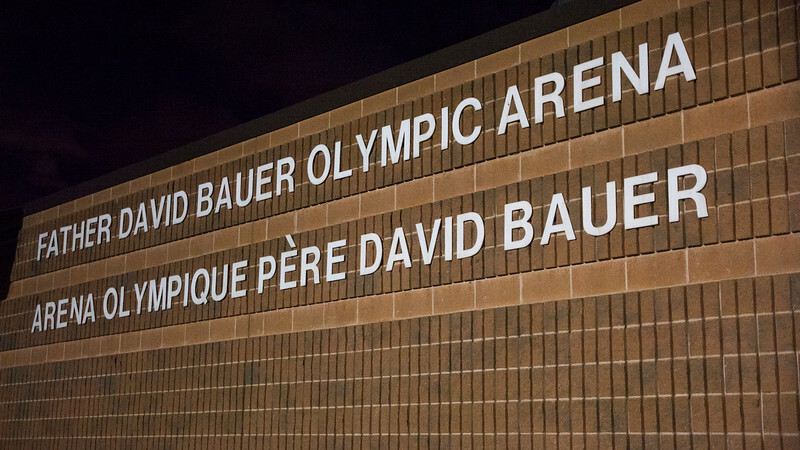 CALGARY(AB) October 30, 2015 - Father David Bauer Olympic Arena. Calgary, Alberta, Canada. 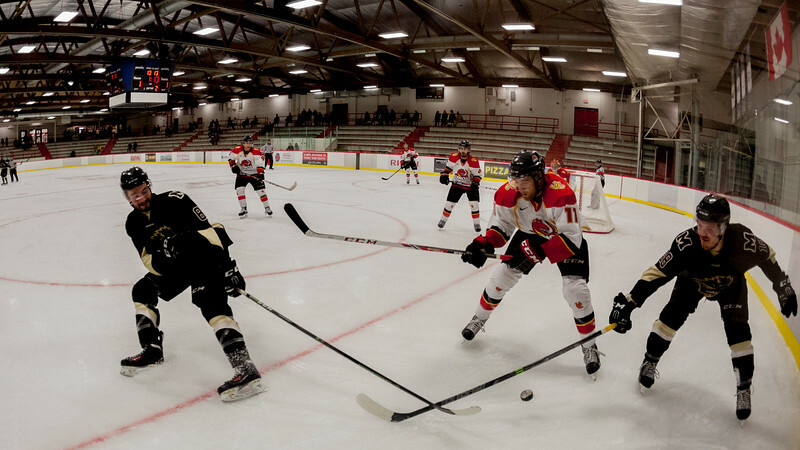 CALGARY(AB) October 30, 2015 - Bison's forward Merasty (#25) scores a late first period goal to tie the game at 1-1. 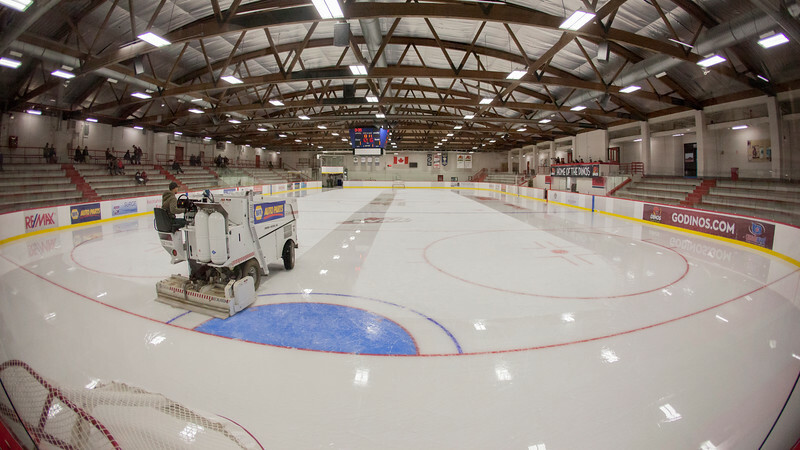 CALGARY(AB) October 30, 2015 - The ice gets resurfaced during the 1st intermission. 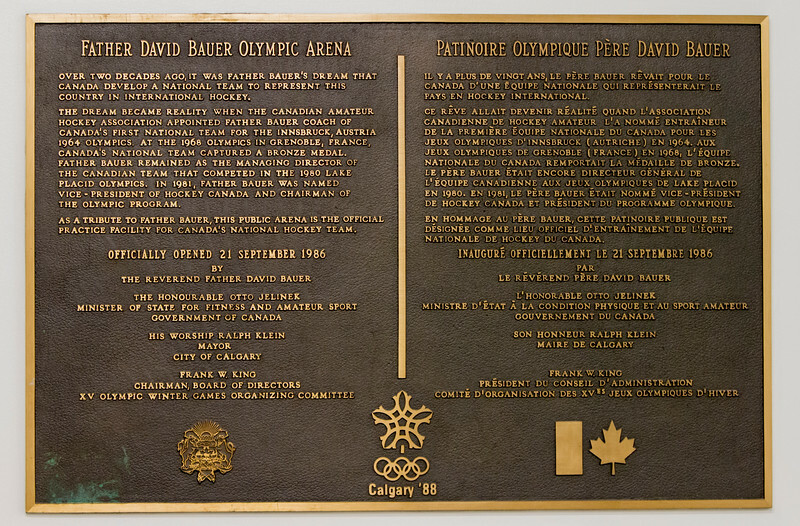 Dino's vs Bison's game at the Father David Bauer Olympic Arena. 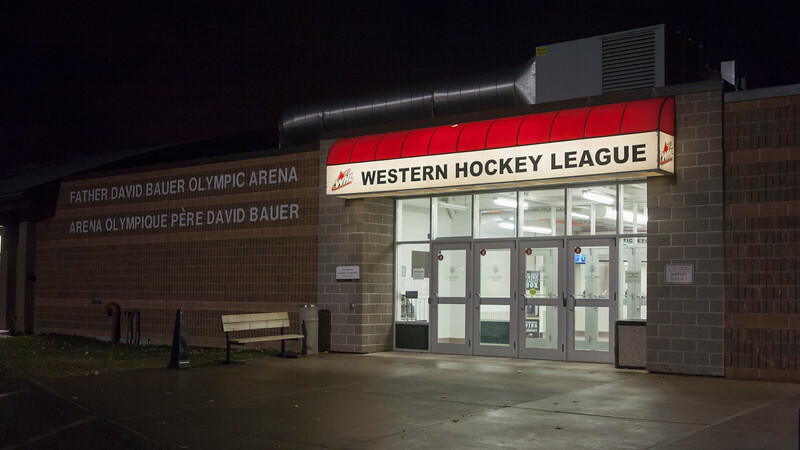 CALGARY(AB) October 30, 2015 - Second period action during the Dino's vs Bison's game at the Father David Bauer Olympic Arena. Calgary, Alberta, Canada. (Left to Right) Pearce (#8-Bison's), Dino's Dzielski (#11-Dino's), Winther (#18-Bison's). 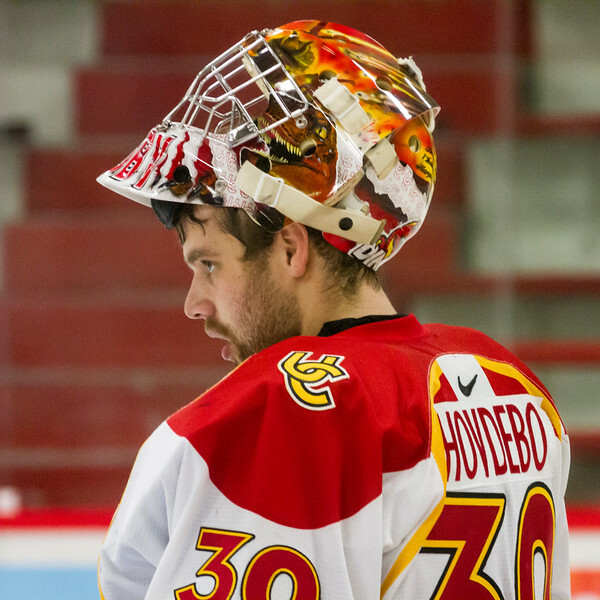 CALGARY(AB) October 30, 2015 - Dino's goalie #30 Hovdebo during the Dino's vs Bison's game at the Father David Bauer Olympic Arena.